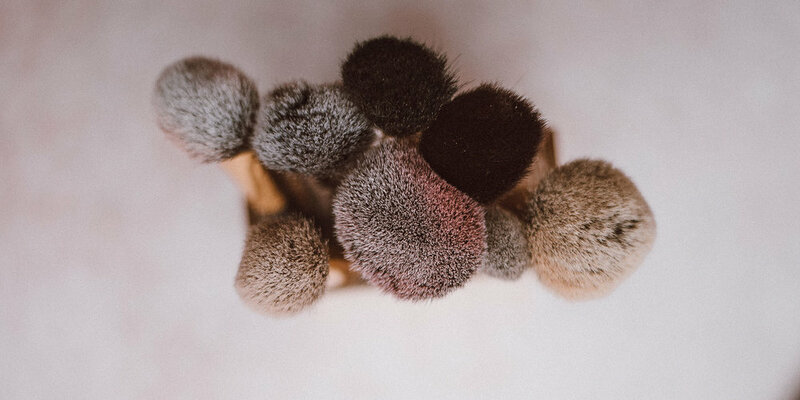 When you decide to transition into a natural beauty routine it can be alluring to walk into your bathroom and throw everything on your shelves into the trash. We know, the temptation can be real to immediately ditch all that products listing some of those scary sounding ingredients. But hold up just a second, because it may not be the most effective, or indeed necessary, route! Transitioning from a conventional to natural beauty lifestyle can be timely, with a lot of trial and error, and well, cost! So it can serve you well to do a bit of preparatory groundwork first. If you’re looking to take a greener approach to your personal care, skincare and beauty regime, read on how best to make the transition towards natural beauty! If you’re going to take the time, effort and oftentimes increased cost (due to ethical production, manufacturing, ingredients etc) then you better have a strong understanding of your “why” as you transition into a natural beauty routine. Maybe you’re concerned about your hormonal health and the indicated links between many common ingredients in conventional beauty products that are known “endocrine disrupters”. Perhaps it's an ethical reason to only support vegan and organic products for their more rigorous farming, agricultural, staffing and cruelty regulations. It could be the damaging effect some beauty product ingredients, such as microbeads, have on the environment. Or maybe it’s simply down to an allergy which means you need to look for natural alternatives. Whatever is drawing you towards a natural, non-toxic and organic beauty routine, make sure you become clear on your “why” as this will empower your decisions and help you to consciously purchase products that feel more aligned to your values. Now is the time to start arming yourself with knowledge and doing a little bit of research, so you can educate yourself on all the key terms, ingredients and practices that are involved in both conventional and natural beauty products. Starting with the basics of getting to know what are some of the key toxic ingredients found commonly in beauty products is a great way to kick start the process. Websites like Environmental Working Group Skin Deep or the “Think Dirty” app are convenient ways to quickly check databases of products or query an ingredient. If in doubt about anything on a label – reach out to the companies! Ask them about their ingredients, their processes, the way they source and produce what you are buying. Transparency is becoming a staple of this industry, so any brand that is able to truly stand behind their products will be able to give you the answers. It seems blatantly obvious right now, but how often do you generally read the labels of your beauty and personal care products? What we put on our bodies is just as important as what we put in our bodies, so it is important to take the time to scan the ingredient list of your beauty products in the same way you would your food! As you begin to read the labels of conventional products you’ll probably start to recognise some of the ingredients you learnt about in the previous step (see, there you are educating and empowering yourself!) and you may notice how even if something is branded “natural” the ingredient list tells otherwise! Tip: Remember oftentimes they can be covered as fragrance or proprietary blends. 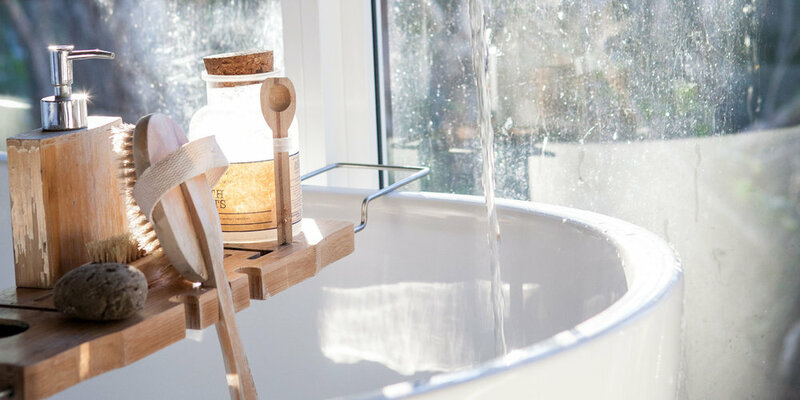 The temptation to completely empty out your bathroom shelves can be overwhelming when you begin to go down the non-toxic, organic and natural beauty rabbit hole. But doing so can be unrealistic, not to mention expensive! The best way to transition into your natural beauty routine is to do so slowly. Start with a few key purchases – items that you use most regularly and may apply multiple times a day or per week – such as moisturiser, serums, foundation, shampoo etc, and then as you move forward and run out of a product, simply try to replace it with a natural variation instead of your conventional product. Every little shift helps when moving into this lifestyle and it’s important not to induce anxiety or a sense of fear-mongering. Give yourself a break if your entire shelf isn’t stocked al-naturale and hey, if your absolutely favourite lipstick isn’t 100% natural, but you love it – that’s important too! Hunting down quality natural and organic beauty or personal care products can be tricky. It can take a bit of time to find brands you love and that fit a price bracket you are comfortable with. There are an increasing amount of retailers focusing on expanding shelf space for this department, but your best bet (for price) is generally online distributors such as Flora & Fauna, Detox Market, Credo or I Am Natural Store. One of the best parts about transitioning to a natural beauty routine is getting to test out your products! Finding brands that work well for your skin and body can take some serious experimenting (especially when it comes to natural deodorant!) so test, test, test and allow yourself the time to experiment with different brands, products and varieties to find what really works well for you!